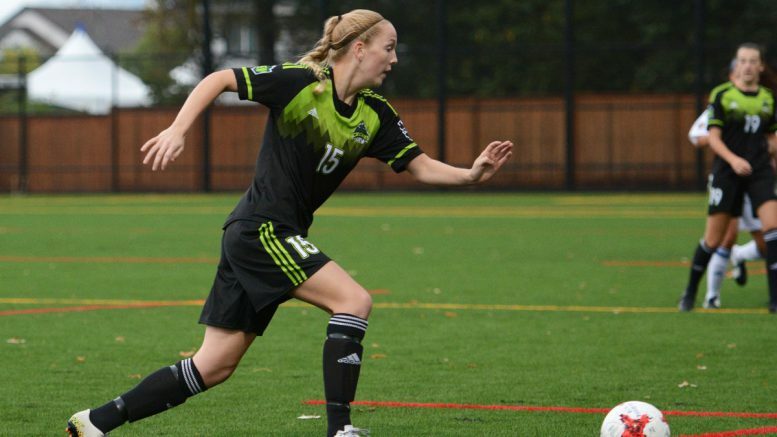 Burnaby – A slow start stung the University of the Fraser Valley women’s soccer team in their non-conference opener on Saturday, as they fell 1-0 on the road to the Simon Fraser University Clan in Burnaby. The Clan carried the play in early going, and broke the ice in the sixth minute when Katelyn Erhardsen’s drive from 20 yards out found its way through a crowd and into the back of the net. The Cascades found their footing after 20 minutes, but were unable to generate an equalizer. They came close in the 35th minute on a scramble in the box off a Vanita Bhullar corner, and later on, Jashan Sandhar had a good look at goal with about 10 minutes left in regulation. “I was frustrated with the slow start – it was uncharacteristic of us to be that passive,” Cascades head coach Rob Giesbrecht said. “They’re a veteran team, and they were all over us early. Halfway through the first half, we started to play. We showed more confidence, strung some passes together, and got some corners. Sophomore Joven Sandhu and rookie Andrea Perkovic split the goalkeeping duties on Saturday, and both played well in Giesbrecht’s estimation. Another bright spot for the Cascades was Marianne Spring at centre back, showcasing her improved ball distribution skills to go with her outstanding ball-winning. Midfielder Harneet Dadrao had some moments of magic in the midfield, while Brittney Zacharuk flexed her versatility, playing at left back in the first half and left wing in the second. 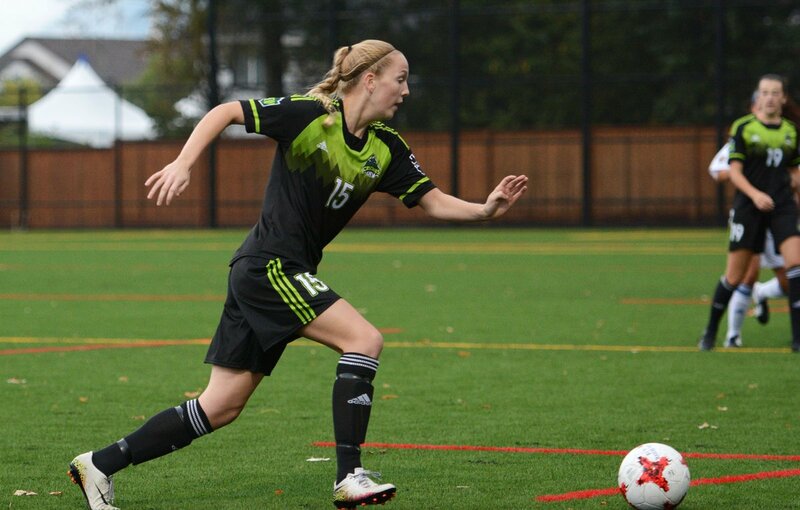 The Cascades’ preseason ramps up this week as they depart Tuesday for a trio of games in the San Diego area. They face the Cal State San Marcos Cougars on Tuesday, the San Diego Christian College Hawks on Thursday, and the UC San Diego Tritons on Friday. They’re prepping for their Canada West regular-season opener Sept. 7 at home vs. the UBC Thunderbirds (5:30 p.m., MRC Sports Complex). 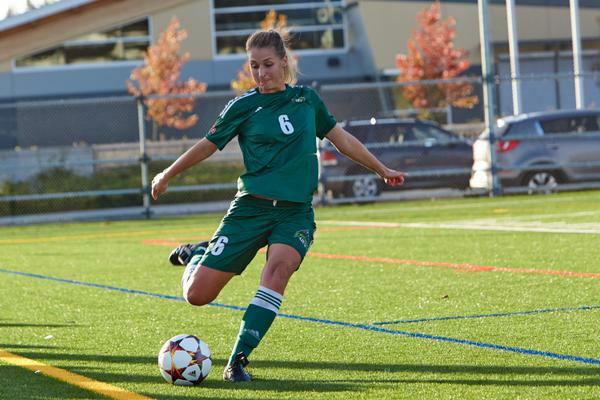 Be the first to comment on "UFV Sports Saturday – Cascades Women’s Soccer Slow Start Against Clan"